Benjamin Jolivet is a Regional Manager for Citrix and the Country Manager for Citrix Italy. Since 2014, he has the responsibility to drive the development of Citrix in Italy but in the past had also to reorganize presence of Citrix in different countries and foster growth in Israel and various countries of Eastern Europe. Since his entrance in Citrix, he served in different roles among which General Counsel for Southern Europe and the Middle East from 2006 to 2011, supporting the Vice Presidents and the sales team in the different countries. He has also been Channel Manager and System Integrator Partner Manager for Citrix Italy, taking care of the relationships with the major system integrators and opening the office in Rome. Before joining Citrix, Benjamin Jolivet held the position of in-house corporate legal counsel at Areva, in Paris and was associate at Chiomenti Studio Legale, in Rome. He is a business lawyer and holds a Master degree in business law and intellectual property. 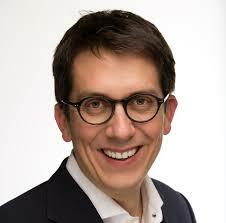 He wrote a thesis on the patentability of software and obtained the Executive MBA at ESSEC in 2011.